A beautiful backyard is a home owners dream; you envision the terraced garden, manicured lawn, enchanting night lights and charming flowers for your garden. Making the choice on who among the many lawn care contractors out there can translate your idea into reality is a real predicament. You most probably will not see that final outcome you desire until they finish or are way ahead in the project; it is in your greatest interest to minimize the chances of a disappointment. In most instances they will have a team of workers out working on your backyard, apart from your expectation that they deliver quality work, you need them to be as careful with your current installations and sensitive to your privacy and security; you essentially trust them with an intimate section of your home. When deciding on which Lawn Care Contractor to hire for the job, there are three basic things you need to remember Trust, Experience and Care. You need to know that you can trust them to do what they say they will do, you can trust them to be at your property and you can trust them to maintain professionalism. Are they experienced enough to take your ideas and make them a reality and to provide maintenance services after the installation. Do they provide a level of care to work with the safest materials and inputs, and do they implement safety measures in their work practice? Getting a Certified Contractor is the only way to ensure that you are guaranteed to hire a contractor with all these elements. Certified Contractors commit to professional standards of their industry. Apart from giving you a trusted means of vetting their professionalism and experience, certification also provides a certain extent of protection in the unlikely event that something wrong happens. Certified contractors are most likely to be licensed and insured, relieving you of the liability in case of an unfortunate accident with their staff, and providing a level of compensation in case of damage to your property. There are several certifications, and professional memberships that Lawn Care Contractors subscribe to. Some of these are The National Association of Landscape Professionals, Certification as a Water Smart Contractor, National Concrete and Masonry Association and Interlocking Concrete Pavement Institute. These certifications attest to the expertise and experience of the contractor. Other accreditations like the Better Business Bureau (BBB) accreditation and membership to the local chamber of commerce are evidence that the contractor has committed to the values of a credible business and a trusted member of the business community. It is always a good practice to enquire with your preferred contractor about their certifications and accreditations. You can always confirm the information they give you with the particular certification body, sometimes you can get to find out if there are red-flags about that particular contractor before you engage them. Taylormade Landscapes, LLC has been designing and implementing beautiful landscaping throughout the Las Vegas Valley for more than 20 years. 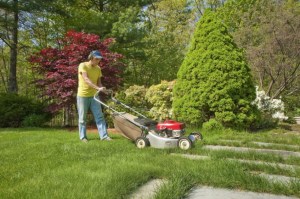 It is a well known family owned business with loads of experience in lawn care. Despite their impressive track record, they do not expect that you simply take their word for it; they have all the important certifications and are proud members of local and national professional bodies. They are trustworthy, caring and make the best Lawns to make your garden the envy of everyone.